Pong.com is a new, brilliantly named and extremely sticky social network for lovers of flash games and haters of how staggeringly fragmented the browser-based game landscape has become. 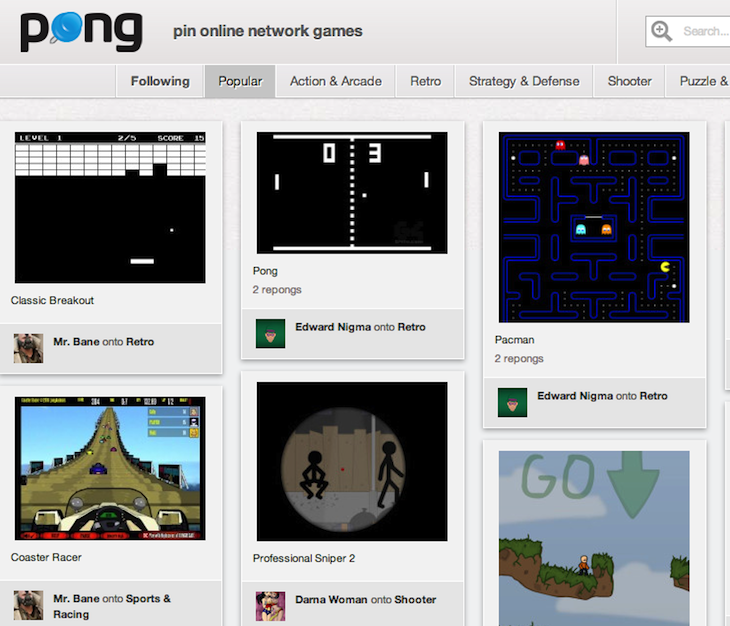 Much like Pinterest (Pong actually stands for ‘pin online network games’ in this instance), Pong.com is basically a platform where anyone can organize their favorite free flash games in a single place, irrespective of who developed or published them. Technically, the games are still hosted and linked back to the publishers’ sites, and the latter can keep the ad revenue for themselves to boot (more on that below). I love seeing this homage to Pong incorporated into present-day gaming. Pong.com is a fun and exciting breakthrough that I believe will revolutionize the online flash gaming world. Revolutionizing the flash games market sounds like a bit of a stretch, but at least the site has proven to be incredibly sticky in my experience, not in the least thanks to the classic Atari game Bushnell helped give birth to. 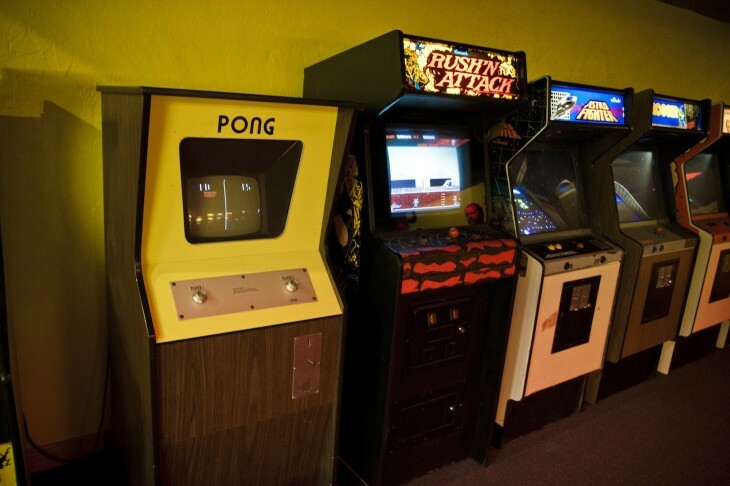 With a single click, users can ‘pong’ games from anywhere on the Web and add them to their pong boards, which allows for games to be categorized in topics like ‘First Person Shooters’ or ‘retro’. When you follow another user’s board, all the ‘pongs’ added to it will be displayed in real-time on the Pong.com website. “Following All” means you will see all of that user’s pongs (from all of their boards). 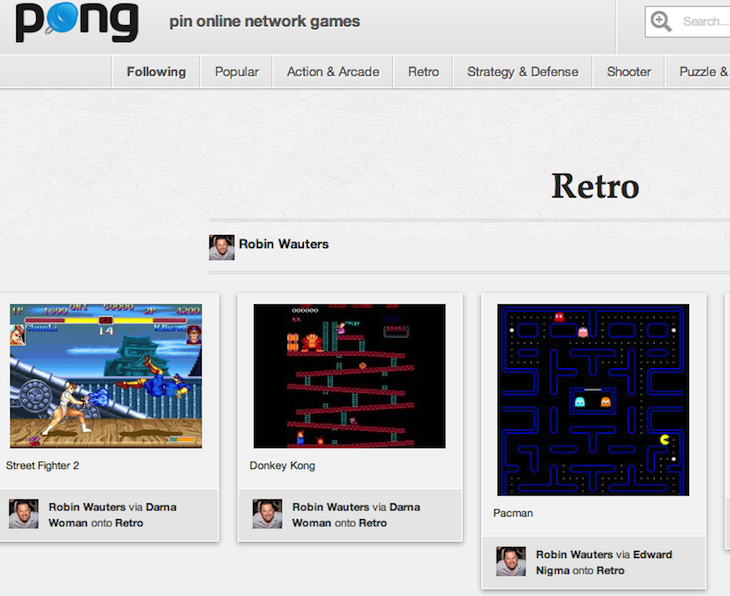 Pong.com encourages developers and publishers to post their games on its open platform to showcase them to users. One of the benefits of doing this, the company says, is that game developers can embed their own video ads and keep 100 percent of the revenue. When a developer doesn’t have a 100 percent fill rate, however, Pong.com will run its own pre-roll ads to monetize the site. 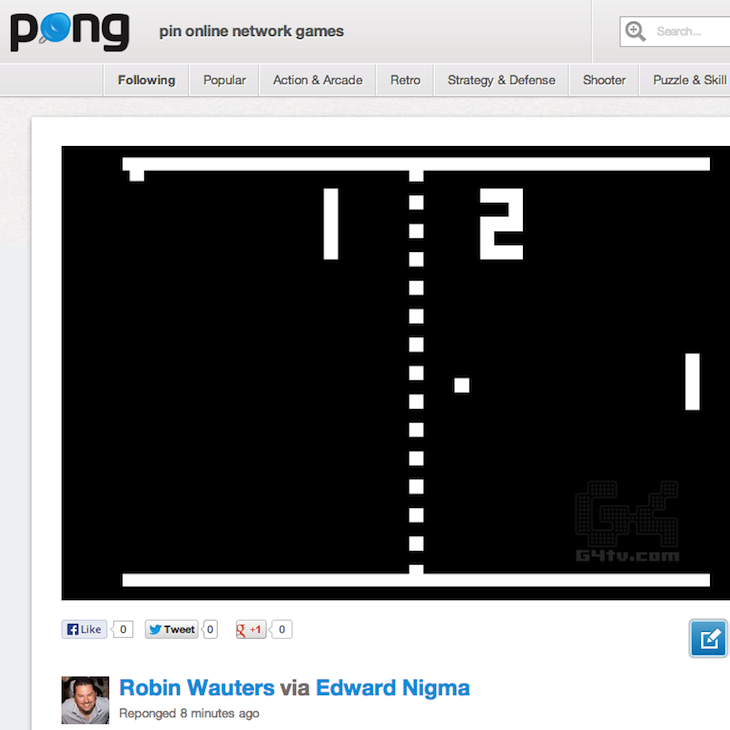 At a later stage, Pong.com co-founder Darius Gandhi tells me, the company will have its own ad network in place. On a very cool sidenote, Pong.com is having the original Pong arcade machine signed by Bushnell and Atari’s other co-founder, Ted Dabney. 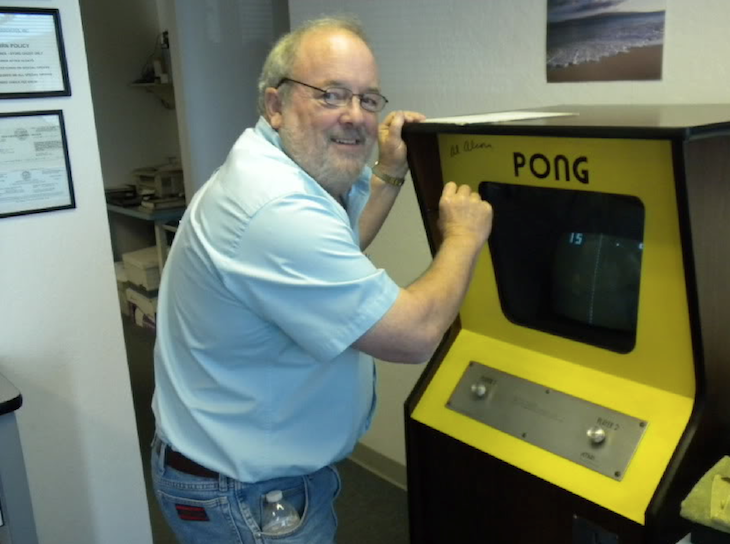 Allan Alcorn, who invented the Pong game, has already autographed the iconic piece of gaming history (see picture below). I don’t know about you, but I think that’s one hell of a cool item they’re going to have in their offices. Game company bragging rights FTW.